13th Annual KIDflix Film Fest of Bed Stuy! 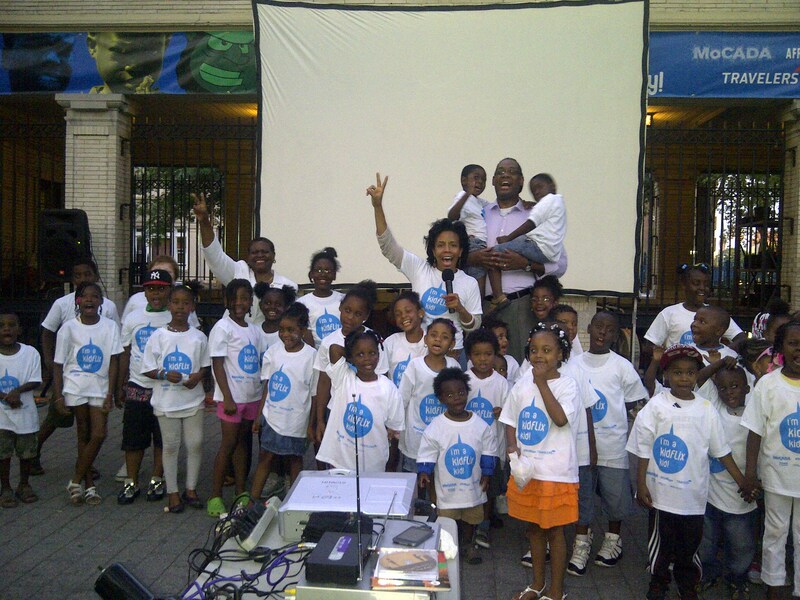 | STREETS OF NEW YORK 411 INC.
13th Annual KIDflix Film Fest of Bed Stuy! Every Friday in the Month of August! MoCADA and African Film Festival proudly invite you to the 13th Annual KIDflix Film Fest of Bed Stuy! This year’s festival promises to be the most fantastic line-up yet, with newly released films of the African Diaspora, live performances, and as always, our traditional grand finale costume party for The Wiz. This film series will be held in Fulton Park, which is located between Stuyvesant Ave and Harriet Tubman Ave also known as Fulton St, Brooklyn. Take A & C trains to Utica Ave.
Take B46 & B25 Buses. AUGUST 3: WHAT’S ON YOUR PLATE? Two NYC girls made this documentary about the food being served in our schools — come see what they found. LIVE DANCE by Creative Outlet’s young artists. learn about the black and white activists who risked their lives to fight segregation in the jim crow south. LIVE MUSIC by Culture Crashers. See the true story of an 84-year-old Kenyan freedom fighter who was determined to learn to read. LIVE MUSIC by sweetbeatz. Find out how a kid with a puppet and a dream became the man behind Elmo. LIVE DANCE by Creative Outlet’s young artists. You know how we do! Dress up as your favorite Wiz character for our costume contest. TRIBUTES to Michael, Lena, Whitney, Etta & Don.